Sipho is from The Hunger Project’s Kachindamoto Epicentre community, Malawi where he lives with his wife and 5 children. In 2015 Sipho received his first farm input loan from The Hunger Project. The then participated in agriculture training through programs available at the Kachindamoto Epicentre. 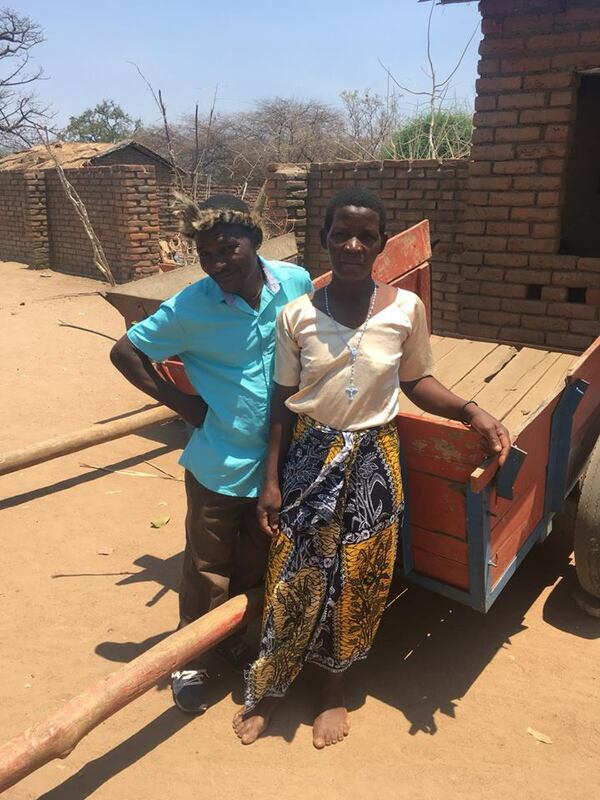 From this training Sipho was able to harvest 50 bags of maize and selling 25 of them back to his local community, returning him a profit and enabling him to buy an iron roof for his home. In 2016 Sipho took out another loan enabling him to harvest 55 bags and sell 30. From this sale he was able to purchase an ox cart. He now hires out this card to his local community and it provides him with a regular income. Sipho has decided that he won’t need any more loans from The Hunger Project because he now has a regular income and has the skills to grow and harvest maize himself. Sipho now plans to buy a new motorcycle with the income he earns from farming and hiring out his ox cart.